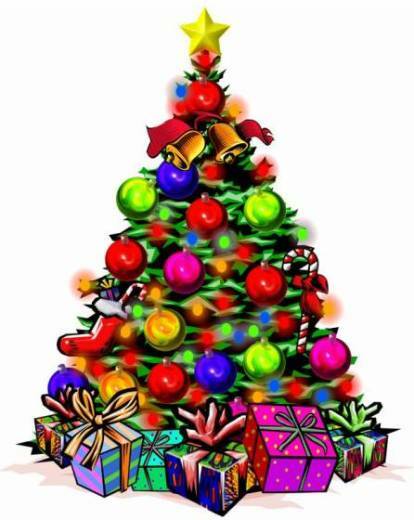 Wishing all of the Blogicito readers a very, very Merry Christmas! I have been a neglectful blogger but an excellent homemaker Hondureña lately. I made homemade tamales (about 50 of them!) along with Arexy's help — which was a bit of a case of the blind leading the blind. I'll have to tell you more about it next week, but suffice it to say that they turned out to be the best tamales in the world! Really! 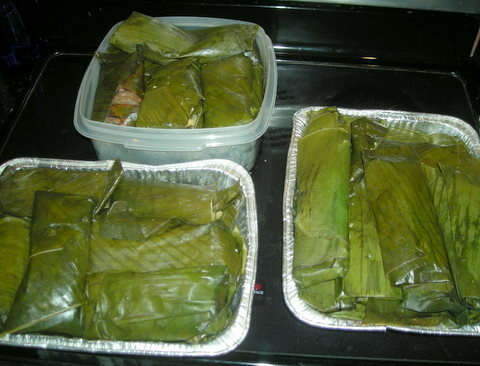 My tamales have received outstanding (though slightly surprised) reviews from every Honduran who has tasted them. (How can a gringa make good tamales?!) Especially surprised was my sister-in-law who assured me that "at least 3 pounds of lard and 30 bouillon cubes" were needed to "give them flavor". Kenia said that la gringa wraps better than she does. More on the tamales later. I've also made a dozen loaves of homemade bread for gifts for the family and friends. I've had a regular assembly line going in the kitchen all week. Today I'm roasting a pork leg — another Honduran tradition, at least in this part of the country. I'm kinda-sorta following my sister-in-law's recipe for that, omitting about a cup and a half of salt-providing ingredients, like an entire box of bouillon cubes. ;-) We are going to have a culturally confused meal: Roasted pork, mashed potatoes, stuffing, and cranberry sauce. Pork sandwiches are also a tradition over the holidays, which is the reason that I thought of making the bread for gifts. And overall, for the sake of my mental health, I've been ignoring the "Zelaya-is he here-is he coming-is he going to get off scot-free" question as much as possible. I'm sure that he planned to be here, and probably thought that all Christmas festivities would stop while the people worshiped him instead, but it doesn't look like that will happen. I think that is best for a peaceful Navidad in Honduras. My gift to readers (one of my best recipes) is going to be delayed as I just couldn't get it done today. I hope your Christmas is the best ever! Given that the Wikileaks disclosures have again brought to life the debate on the Honduran Crisis, I think it's important to make a new considerations on the data. 1. It should be quite clear that the Llorens and Ford documents are simply opinions. What is specially important about the Ford document is that he foretold the events that would occur more than a year later when he warned that Zelaya would be a danger to Honduran Democracy. This is how scientific theories are established: by their ability to foretell events yet unknown. This leads credence to Mr. Ford's opinion. 2. Mr. Llorens tries to make a legal case for the illegality of Zelaya's ouster. We note also that the US Library of Congress's Law Library made an equally valid case for the legality of the actions. The existence of these two opposite opinions leads us to two conclusions: First that the Honduran impeachment process is faulty and lends itself to legal and illegal interpretations simultaneously and thus, second, its like the famous question of whether you want to see the glass of water "half empty or half full". 3. The only truly valid opinion in this case, and it should be recognized as such, is that of the Honduran Supreme Court that ruled the actions illegal and consequently ordered his arrest BEFORE the events ocurred. The rest can opinionate one way or the other whether they were right or wrong as it will surely continue forever and ever, but the fact remains the the only valid, legal opinion at that point, before the events, was that of the Honduran Supreme Court that ordered his arrest. While the question of legality or illegality is important, to the majority of Hondurans there is a more important consideration. 4. It should be quite clear to all reasonable persons that Zelaya intended to lead Honduras down the path of a 21st Century Socialism model, that he was following Hugo Chavez's script for a Constituent Assembly (as Hitler did in 1933) and that the intention was to install a Cuban/Venezuelan style regime in Honduras. These facts are evident from the support that Chavez gave to the process before and after the events of June 28th, 2009. 5. 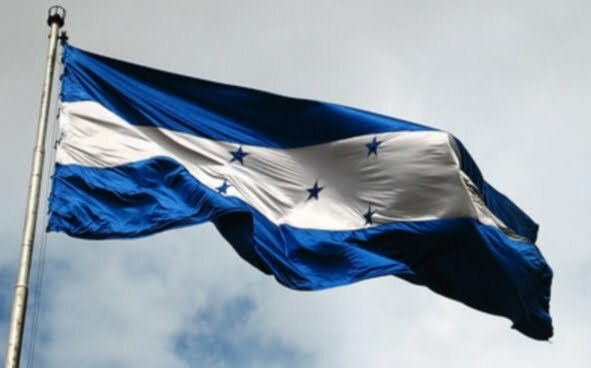 Despite all the problems and faults of our democratic system, installed and maintained by the 1982 Constitution, the vast majorities of the Honduran people do not want and oppose a Communist regime for our country. This is evident in the massive voting that took place in the November 2009 election, held according to the laws prescribed by the 1982 Constitution which establishes the Honduran Democratic System, based on the rule of law, the separation of powers, the alternation of power in the Executive branch and free elections held regularly every 4 years and in which we choose our next President, congressmen and mayors. 6. Some argue that the elections were not valid because they were not overseen by the OAS and the Carter Center, which did oversee elections known to be corrupt and said nothing. They were overseen by very important organizations, just as legal, valid and experienced. The thing is that the elections were valid to more than 2 million Hondurans and the vast majority of our population. Look at the results of elections in Haiti, overseen by the OAS and the Carter Center: Not accepted by the population. 7. Thus, between Mr. Llorens's half-empty legal interpretation of the events of June 28th and the US Library of Congress and the Honduran supreme Court's half-full legal interpretation of the same events, the majority of Hondurans support the half-full version, an opinion supported and expressed by the Honduran Congress in December, 2009. So, what is Democracy? Isn't it, as Lincoln said "a government of the people, for the people and by the people"? It is not up to foreign powers, be they the US or Venezuela, to decide whether Honduras is a democratic country, or even for multinational organizations, such as the OAS to decide. It is we, the people of Honduras, who have the right to determine whether our country is democratic or not and the kind of democracy that we cherish. And that's what we did in the 2009 election. There is a third consideration that should be made in the evaluation of the current Honduran situation. 1. In the United Nations listing of poor, middle income and developed nations, Honduras is listed among the middle income nations. In order to pass from a poor country to a middle income country as it did in 2007 under Zelaya's rule, one of the important indicators is that a country must present at least 3 years of continuous over-5% economic growth. This happened in the years 2004, 2005 and 2006; that is, the last 2 years of Maduro's presidency and the first year of President Zelaya's term. Then it shot downwards again. 2. Obviously, to understand this phenomenon, you must look at the actions taken during the first years of the Maduro Presidency, in which he consolidated a strong control of the macroeconomic indicators, contained government expenses, installed new measures to promote transparency and put order into the financial markets. It produced 3 years of economic growth. 3. It also achieved the pardoning of our foreign debt and the consolidation of the Poverty Reduction Strategy in which funds used to cancel foreign debt could now be used for Poverty Reduction Programs, which for transparency's sake would be overseen by the nations who were condoning our foreign debt, but guided by the "dialogue tables" that had been carried out at the start of the Maduro Presidency. 4. This should explain why the common expression, very popular in the media when Zelaya was elected, was that "The table is set". Zelaya's government entering in January 2006 had all the tools to carry out a progressive reform and mark a substantial decrease in the real poverty levels of Honduras. 5. But Zelaya's new government put an end to poverty reduction programs, to the efforts to achieve the Millennium Development Goals and all efforts to end endemic poverty, and began a conscience-buying, political hand-out structure to benefit his close friends and family (As Mr. Ford pointed out). 18 months after Zelaya took power, Sweden, one of the participating governments in the Poverty Reduction Strategy, pulled out. 6. In his 3 ½ years, Zelaya returned us to a bankrupt nation, with reduced growth indicators, an education system in shambles, drove the Workers' Bank and the Teachers' Pension Fund into bankruptcy, and left is even without a national budget. Zelaya's incompetence in the economic issues has left the majority of Hondurans asking: where did all the funds for poverty reduction and the economic stability go? Truly, a President can't be removed for being incompetent as Zelaya proved to be, but for the attempted destruction of the democratic system, yet one must ask where do the foreigners think that Zelaya's "popularity" rests? While pundits can argue forever whether it was a coup or not, the majority of Hondurans view the overall questions: First, the "coup or not" saved the country from a communist regime. Second, it convinced us all that the crisis was due to the abuses of the political classes and that we must remain always vigilant. And thirdly, we are convinced that the only way to end the abuse of the political class, whichever party they belong to or social system they promote, is to require transparency and the rule of law. These conclusions are supported by the recent Latin American Barometer poll in Honduras. It is on this point, the solution to the crisis, that the foreign governments have been sadly amiss with their insistence on returning Zelaya without facing trials to Honduras. We have no doubt that Zelaya was corrupt and we believe that Zelaya must come and face the justice system, whereas currently to lay to rest the "coup" theories of the South American Autocracies there is a new attempt to whitewash Zelaya's corruption and abuse of power. The majority of Honduran people simply want Zelaya to become the first victim of legality, transparency, honesty and decency, and thus set an example that will serve present and future generations of what happens when the polititians abuse the power given to them by the people. Sadly, the current US administration and our European friends have left us without the support we need to defend decency in our country. We did the unthinkable, the unpardonable, the very stupid thing of planting seeds from hybrid fruits and this is what we get. Perfectly round, baseball sized avocados. After waiting about 5 years, we now have two huge baseball avocado trees. I know better, I really do. It's just that these seeds were growing so nicely in the compost pile and since they had such a strong desire to live, I couldn't help myself but to plant them. Someone picked a couple of them when they were rock hard. I waited and waited, then sort of forgot and the next time I checked, the last one had already gone bad. El Jefe told me later that he had opened the other one and the bit of it that wasn't already bad actually tasted pretty good, like a Haas avocado. So maybe all is not lost. 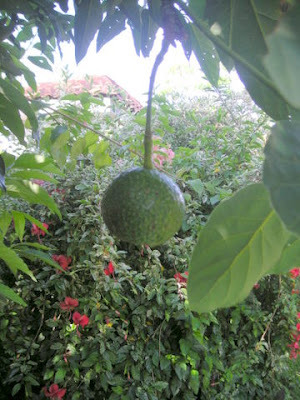 Full confession: We also planted two avocado seeds from those long handled avocados that tasted so good. I don't know if they are hybrids or not. We'll see what happens. A piece of coral found on the beach on the island of Utila, Honduras. A new weapon against lumpy soups and ice creams! A great big thank you goes to whoever selected this Cuisinart Stick Blender from my Amazon wishlist! What a nice gift and I've been wanting one of these for ages. I just received it last night and I have no idea who sent it. If you would like to let me know by emailing, I'd like to thank you personally. It is a very generous gift and I really, really appreciate it. I can't wait to try it out on my Chipotle Butternut Squash Soup or Baked Potato Soup recipes. It was such a pain putting those hot soups bit by bit into the blender to puree them. 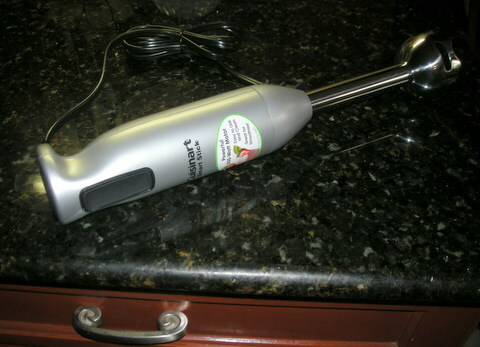 I also have a new Gelato cookbook which recommends using a stick blender on almost all of its custard based recipes so I think it will get a lot use. The following is one of the Wikileaks cables from former US Ambassador to Honduras, Charles Ford, dated May 15, 2008. I've decided to reprint the entire cable here, since these things have a way of disappearing, but I obtained the original from El Pais, Spain. 1. (S) Summary: Honduran President Jose Manuel "Mel"
American era, almost a caricature of a land-owner "caudillo"
objective of informing future policy choices. our exchange just a few days before. and who he has seen last. of his family, as he ridicules publicly those closest to him. execution of the American interventionist William Walker. but he actually did not graduate from high school. pressured him to name one of their own to this position. lives of U.S. officials in jeopardy. group that he so very much resents. Force Base are manifestations of this underlying viewpoint. of Jorge Arturo Reina as Ambassador to the UN. The Honduran voting record in the UN in terms of coincidence with US positions is at the lowest point in decades. President Bush after the June 2006 meeting in Washington. to be seen in public with American visitors. the country. For Zelaya, communicating means agreeing unquestionably with his point of view. extraordinarily difficult for our bilateral relationship. His pursuit of immunity from the numerous activities of organized crime carried out in his Administration will cause him to threaten the rule of law and institutional stability. Áfrico Madrid, Minister of the Interior, announced yesterday that the list of foreigners being investigated had increased to six. Today he announced the addition of two more people for a total of eight. Madrid also mentioned that the list includes residents as well as naturalized citizens, but he is not giving many clues as to what offense these people might have committed. He did mention that one or more are being investigated for organized crime ties, money laundering, and/or political activities. There has been speculated that the man in the above photo is one of the foreigners being investigated. 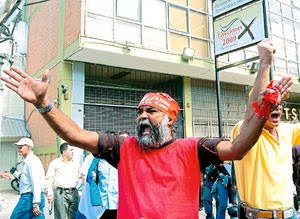 He is known among some Hondurans as "the Hindu". He was active in the violent demonstrations by the resistance last year and I can state that as fact because I saw him in Channel 36 videos with my own eyes. He talked to reporters as if he was a Honduran speaking for other Hondurans. Interesting story: One day, which I believe was September 21, 2009, the day that Mel Zelaya returned to Honduras and entered the Brazilian embassy, I was watching Channel 36 Cholusat Sur on my laptop. Across the table, on his own laptop, was El Jefe, who could not see my screen. After a few minutes of listening, he said, "Who is that talking? He isn't Honduran! Why is he saying that he is Honduran?" El Jefe has a real knack for identifying accents. He said this man had a gringo accent. 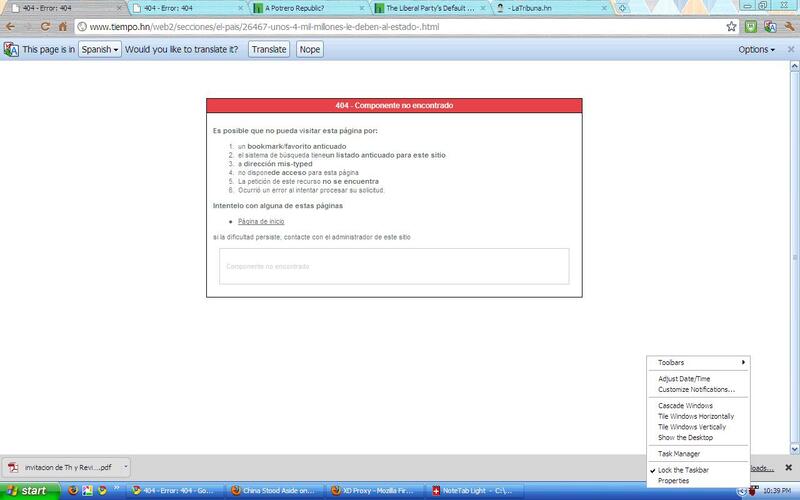 Update 12/9/10: A video interview of "Emo" and some of his friends (in Spanish). In a huge step toward transparency in Honduras, lists of taxpayers who have not paid their past due taxes were published on the Dirección Ejecutivo de Ingresos (DEI, similar to the US's IRS) website on December 1. 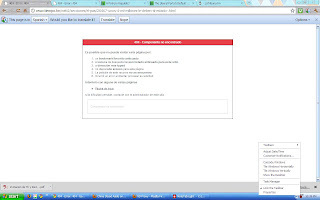 The lists were of such interest to Honduras that the website was unavailable much of the day due to overload. The DEI site broke the record for the highest number of visits ever in the history of Honduran government websites, totaling about 360,000 visits and 17,000 downloads in the first few days. In less than a week, the number of visitors has risen to 1.5 million. Unfortunately for the listees, all that activity alerted Google and now when a search is performed for many of those names, the Google search page provides a link to the government document, along with the amount of their debt plainly described as tax owed to the Honduran government. Not good for business! The lists include a 4-page list of 58 "grandes" (large) taxpayers whose debt totaled L 788 million and a 55-page list of 1,539 medium and small taxpayers which totaled L. 2.2 billion, for a total of L. 3 billion. The publication follows several months of "amnesty" in which interest and fines were waived if the debts were paid. The following day, the DEI published lists of those who have failed to file tax returns, as well as businesses who were closed for non-payment or otherwise sanctioned. No amounts were given on those lists, but El Heraldo reports that 2,111 taxpayers owe a total of 4.121 billion. Then, yet two more lists were issued: 385 taxpayers who owe L.824 million and 62 taxpayers who owe L. 217.8 million. Things are really getting confusing, since the dozen reports are dated from November 23 to December 4, some people appear twice on the same list, and others appear on more than one list. It is unclear whether some of these reports overlap or are updates. The DEI database categorizes 812 large contributors (list) as generating 87% of the total collections. La Tribuna reports that 1,614 medium taxpayers constitute 6% of total collections, and approximately 44,000 small taxpayers make up the remaining amount. That isn't many taxpayers in a country of 7.8 million. A good question to ask is how these companies were allowed to amass such a large tax bill without serious action being taken sooner. Some names possibly more well known to north American readers are Kraft Foods, L.18 million; Digicel, L.8.9 million; Alcatel Lucent Mexico, 6.6 million; Ericsson, L.4.5 million; Habitat para Humanity, 2.4 million. According to the Director Ejecutivo of the DEI, Oswaldo Guillen (photo), publishing of the lists was approved by President Pepe Lobo, who indicated that all debtors should be listed, regardless of political party affiliations. In a country where everyone seems suspicious of everyone else and where so many vague accusations of corruption are thrown around, getting the facts out in the open is a good thing. Of course, many have expressed doubts about whether the lists were actually complete or accurate. We may never know, but hopefully those who authorized and issued the reports realize the damage to their credibility that would be done by "fudging" the names or numbers. Kudos to the DEI, the Minister of Finance, and President Lobo for allowing this first step toward real transparency. Apparently it was effective as Guillen stated that there were significantly increased tax collections the following day. But publishing the lists is only the first step. Taking whatever measures are necessary to collect the taxes is the next. Starting with the largest debtors is the logical way to go. And an additional step toward transparency is also needed. Revistazo, an online newspaper, has officially requested under the transparency law, and has been denied, access to a list of all taxpayers exonerated from paying taxes. 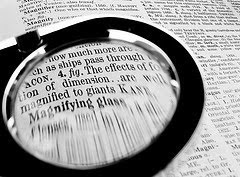 Only certain company names have been released resulting in questions about under what law some of those companies would have qualified for exoneration. This, of course, raises the usual suspicions that the rich and powerful can make back-door deals with politicians. If these exonerations were given in accordance with the law, there is no shame to be had by publishing the lists. However, President Lobo and the Minister of Finance should do everything in their power to take the appropriate action to expose and reverse any 'deals' that were not reached in accordance with the law. Unfortunately, some media and bloggers are using the lists for political purposes, picking and choosing the few names they report based on what side of the political fence they are on. For example, "El Liberator" writes "Empresario que organiza la Teleton le debe al Estado más de 16 millones", exposing José Rafael Ferrari for the debts of his companies Club Deportivo Olimpia (L.6.4 million) and Multifon (L.9.8 million), but fails to mention that the resistance-friendly Rosenthal family also controls companies which owe close to 100 million in back taxes. Half a dozen (so far) resistance bloggers dutifully republished the article with the accusation against Ferrari and again, without mentioning others more near and dear to their hearts. The DEI list shows that Editorial Honduras S.A. de C.V. owes almost L.12 million. One of the more recent lists shows that Editorial Honduras owes L.81 million. Thinking that was a newspaper, I wanted to know which one. 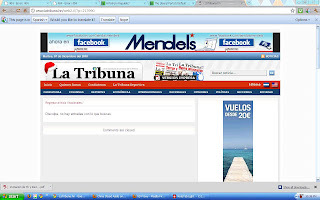 I did some research and found at the bottom of each webpage of the resistance-friendly, Rosenthal controlled newspaper El Tiempo is the following line: "Editorial Honduras, S.A DE C.V | Tel. (504)540-3388 | web.tiempo@continental.hn © tiempo.hn". Two newspapers reported that Yani Rosenthal, a resistance-friendly potential presidential candidate, is the controlling owner of the soccer team Club Deportivo Marathon (L. 2.8 million). Honduras has a law that candidates who owe taxes may not run for office. La Tribuna and Revistazo pointed out that both Marathon and Olympia teams owed taxes, La Tribuna without names and Revistazo with. However, Revistazo was initially working from a completely different list and reported several taxpayers by name as being the largest debtors, though they were only in the L.1-3 million range. No correction was made. Revistazo's December 6 article reported several companies by name, but omitted many others with much larger debts. El Tiempo's original (and apparently only) article on this topic seems to have disappeared from their website It included no disclosure of it's own debt. I now get a 404-Error when I follow Google's link for both Tiempo's and La Tribuna's original articles. I even posted Tribuna's article on Facebook and discussed it with others, but the link no longer works. I nterestingly, I also cannot find El Heraldo's or Proceso Digital's original articles (from a Google news search) in which some companies were named. The apparently edited versions do not include any company names. Wow! Did they all individually have changes of heart or did the word come down from somewhere? Very suspicious and very worrisome. I tried to find who owned or controlled some of the largest debtor companies but didn't find much of anything. I was surprised that the newspapers didn't devote more time to doing so, especially for political figures, government employees, and government contractors. This gives the impression of "not rocking the boat" or "you scratch my back and I'll scratch yours" which is all too prevalent in Honduras. I did find one interesting thing. Oleoproductos de Honduras (L. 29.4 million) and Industria Aceitera S.A. DE C.V. (L. 27.0 million) were being considered for a World Bank loan in mid-2009. 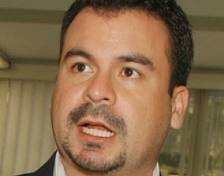 "I wish that freedom of expression be limitless and for my administration to be censored whenever they disagree so that I can know my mistakes"
Honduran President Pepe Lobo announced to television reporters Thursday that five more naturalized Honduran citizens will lose their status. Lobo claimed that the decisions were taken "not for what they express" but because "you all know that there are certain people who are naturalized who can't have a political participation." In some articles, that was reported as "an active political participation". Initially, Minister of the Interior Áfrico Madrid announced that Federico Álvarez's citizenship was canceled due to paperwork errors, but now President Lobo is stating it is because of political activities. [More on paperwork problems in a following article.] Yesterday Madrid stated that Álvarez never had Honduran citizenship and to that end, "No one has taken it away". "What we are trying to do is to put things in order, because Honduras is not a "potrero" [def: pasture, field, vacant lot, waste land] where any person can come to do whatever they want .... This is a matter of national security," added Madrid. Many are comparing this to the case of the expulsion of Padre Tamayo last year. I see a big difference. Padre Tamayo participated in violent demonstrations and promoted boycotting elections (a crime in Honduras). We all saw that on television. Additionally, the action against Tamyao was subject to a review by the Ministerio Publico and judicial process in the Supreme Court, which is not the case with Federico Ávarez. Neither Álvarez, who is a well-known businessman in Tegucigalpa who has been decorated by two Honduran presidents and granted honorary citizenship by the National Congress, nor his attorney were ever notified of any paperwork deficiencies or given the chance to correct them, as you might expect since his documents had already been approved by the government and since his file included both his and his attorney's contact information. Instead his name was placed on a bulletin board in a government office giving him 30 days to respond. Not being aware of that, of course he did not respond. Case closed. Many attorneys, as well as one of the President's own presidential designates, believe the government action to be wrong and illegal. A Roatán attorney with many years experience in immigration matters believes that the action against Federico Álvarez is politically motivated. I believe that Federico Álvarez is being used as a scapegoat so that the Lobo administration cannot be accused of political persecution when they oust other, more militant naturalized citizens or residents from the other end of the political spectrum for their activities. I also think that the government's failure to act in the violent Bajo Aguán situation during the past year is what is really behind this. It has been reported that Nicaraguans and Venezuelans are involved and may even be importing illegal arms and training 'guerrillas'. If foreigners are promoting illegal activities, violence, insurrection, and/or anarchy, those violations of the law should be openly addressed regardless of political affiliations. But to hide behind paperwork or procedural errors and take a victim on the "other side" to balance things out for the benefit of the eyes of the "international community" is just wrong. "The problem lies not with the artist who paints a picture of an unpleasant reality or the photographer who captures the repulsive image, but in the grotesque act that happens." I don't know yet who these five people are or what they have done. I don't know if the reason will be given as additional paperwork errors or whether they will be accused of promoting anarchy or violence or in other ways have worked to damage stability in Honduras. If they have done so, then I agree that they probably should lose their citizenship — if that is what is provided under the law and if it can be proven, but not without a chance to defend themselves. If they are being ousted merely for dissenting political opinions, then that is absolutely wrong and sets up all immigrants in Honduras to live in fear of each next administration — that their residency or citizenship could be revoked without any warning or ability to correct their paperwork or defend themselves. Those immigrants include those now being enticed by the government to come to Honduras to open businesses and provide badly needed jobs. And what of the tens of thousands of foreigners who live in or come to Honduras each year to merely help the poor? Could their activities be considered political? If they complain about the health care or education being received by the poor, will that be considered a political statement? If they help a poor person file a denuncia, is that a political act? This action is intimidating to everyone, not just foreign-born residents. Citizens have to worry that there could be repression of their rights and/or retaliation because of their opinions. Could there be paperwork errors in the deed to your house, your business permit, your income tax return? Could your job be threatened because of your political views? We already know that is a well-accepted tactic. Thousands of government employees have lost their jobs and been replaced by activistas in the Nacionalista party, as is the case whenever a new administration takes over. Lobo declared that the law must be applied to all, regardless of their politics. Yes, that is absolutely true. It should be. But there is not one person in Honduras who would agree that the law is applied equally to all in Honduras. And it is hypocritical of Lobo to say so when he has made every effort to ensure that the law will not apply to crimes of Zelaya. Father Tamayo's actions were tolerated by the Zelaya administration but not the Micheletti administration. Federico Álvarez's actions were tolerated by the Micheletti administration but not the Lobo administration. Five more unnamed persons were tolerated by the Micheletti administration and possibly as far back as the Zelaya administration but not the Lobo administration. Whose views will the next administration agree with? A naturalized Honduran citizen cannot run for public office, but they have all the rights of a natural born Honduran citizen, with that exception. Article 31 of the Honduran constitution grants foreign residents the same civil rights as Hondurans, with the restrictions that for reasons qualified as public order, security, social interest or convenience/benefit established by the laws. Article 32 of the constitution states that foreigners can not carry out national or international "political activities" in the country, under penalty of being sanctioned in conformity with the Law. It seems obvious to me that a Supreme Court opinion is needed to define what exactly constitutes "political activity" and/or harm to the country. But instead of putting up a smokescreen that makes all foreigners in Honduras feel uneasy, why not address the target directly? Taking action against those who have committed illegal activities (narcotrafficking, importing arms, inciting violence, committing actual crimes, etc.) that actually do affect national security would show the world that Honduras is not a potrero. Camino Democrático: ¿Nos estamos convirtiendo en Honduzuela? Honduras Libre y en Democracia: Persecución Política! !